So far this year I have “officially” sighted 138 bird species. In my last post I mentioned seeing a Lesser Yellowlegs near the weir at Turkey Creek Sanctuary. Upon further research it turns out that bird was a Solitary Sandpiper. Either one would have been a first for this year, so the count stays the same. I don’t feel too bad about the misidentification, as the two species are often listed as “similar” or “confusing” in field guides. I regret I am unable to definitively say what warbler I saw toward the start of my morning. I conferred with fellow birders and did further research in my guides and online, but I can’t quite say for sure what I saw. I am leaning toward a Canada Warbler, but officially I will not count this bird this year (or for my life list). 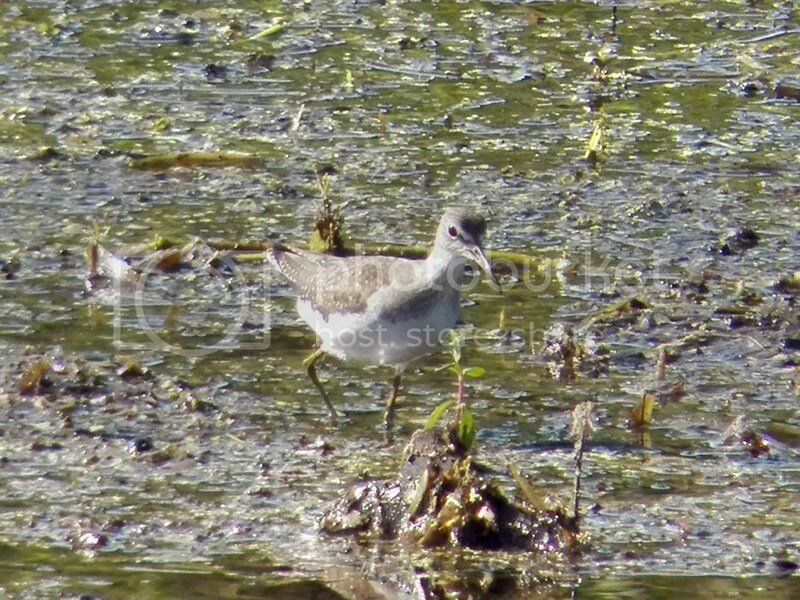 Posted on 2013 September 24 by Lonely BirderPosted in BirdingTagged correction, Solitary Sandpiper, species count. Next Next post: Hi there! I was wondering what kind of binoculars you use? I bought my first pair this summer (Eagle Optics Shrike 8×42) and I’m more or less satisfied with them since they’re a huge improvement over my compact ones that broke earlier but they’re a bit heavy so it’s hard to observe behavior for long periods of time without my arms getting tired. I’m going to be using these for as long as I can but if you could recommend an upgrade, that’d be awesome! Also, congrats on the Solitary Sandpiper!